Part of the Just Houses Collection. These Victorian Italianate row houses are located in the Pacific Heights area of San Francisco. Part of a trio of duplex houses designed by architect John P. Gaynor in 1884, restoration was possible because the houses have common features and enough original detailing was left among them to replicate the missing elements. 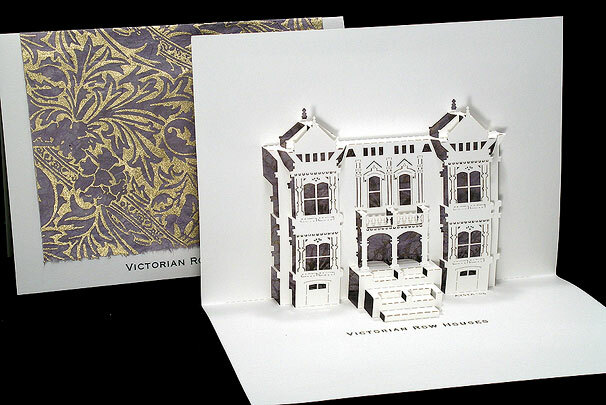 Text reads "Victorian Row Houses".